Margaret Collins is an academic and a lecturer who describes herself as a working-class girl made good. She made some life changes when in her forties she realised she was about to become a full-time carer for her disabled sister and a job wasn’t going to fit into that as well or be as flexible as self-employment. 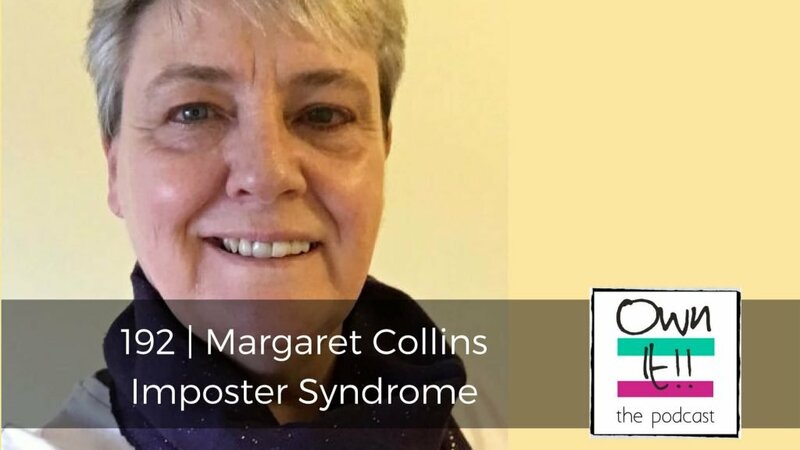 Margaret has recently published Beyond Imposter Syndrome and she talks to us about what it is and where it comes from, how it feels and what to do about it. It is universal, there’s nothing wrong with us, 72% of the world’s population experience it and she has strategies for life beyond IS.